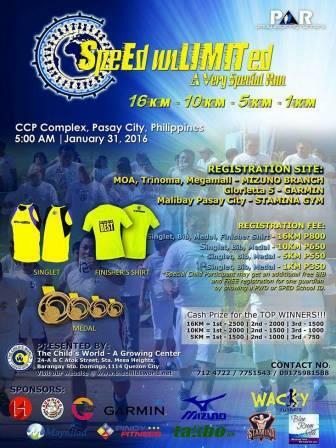 Home / PAR / Pinoy Aspiring Runners / Running Event / Running Event Details / Running Event Poster / Running Event Registration / SpeEd unLIMITed / SpeEd unLIMITed : "A Very Special Run" is Set This January 2016! SpeEd unLIMITed : "A Very Special Run" is Set This January 2016! 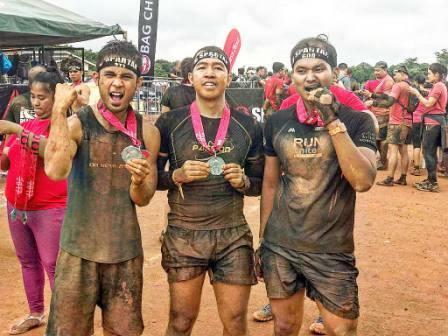 For more than one year now, Runner Rocky had already participated in the different types of running events from fun run, to obstacle race, up to the ultramarathon. And yes, all of these runs were all given to a chosen charitable institutions. 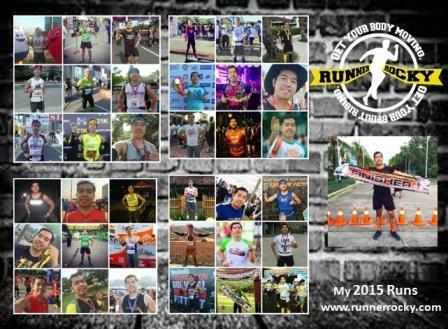 This January 2016, yours truly is set for another unique race! When a parent is gifted a child with special needs, one of the greatest challenges is learning how to make him or her grow with whatever ability is given. Facing the challenges of everyday life becomes a marathon that seems to never have a finish line. Yet, parents of children with special needs will always find ways to make their children experience the best of life – including sports. A sport gives children with special needs the boost of confidence to be at their best. Running to finish a race becomes a goal so precious. With these children, winning does not mean being the first to get the medal. 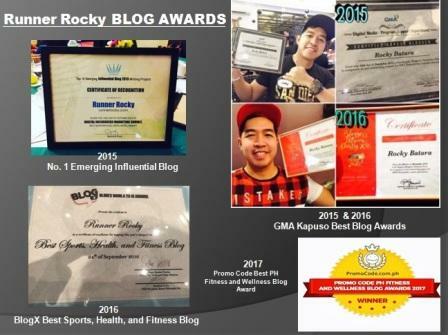 Winning simply means being your best to achieve the goal. 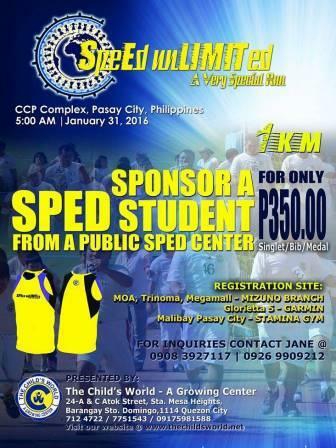 This year, The Child’s World Family and Friends, invites everyone to support Speed Unlimited, a race for children with special needs. 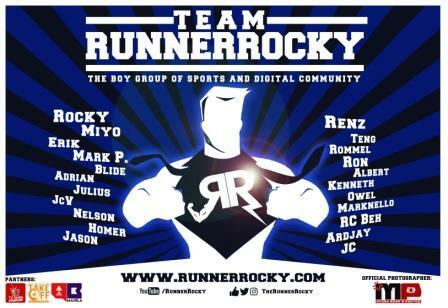 Organized with Pinoy Aspiring Runners (PAR), it will be held on January 31, 2016 at the CCP Complex. Each child participant with a special need is allowed an additional race bib and free registration for his or her companion as long as a PWD (person with disability) or SPED (special education) school ID is presented. Athletes and supporters of the marathon have four categories to choose from. Registration for 1K is Php350.00, for 5K is Php550, for 10k is Php650, and for 16K is Php800. Participants may register online or go to the Mizuno branches of Trinoma, SM Megamall, MOA or at Garmin in Glorietta V. Athletes may even get registered for free if they purchase shoes from Mizuno.